The British Library has recently digitized part of a multi-authored play, “The Booke of Sir Thomas Moore,” written between about 1596 and 1604. 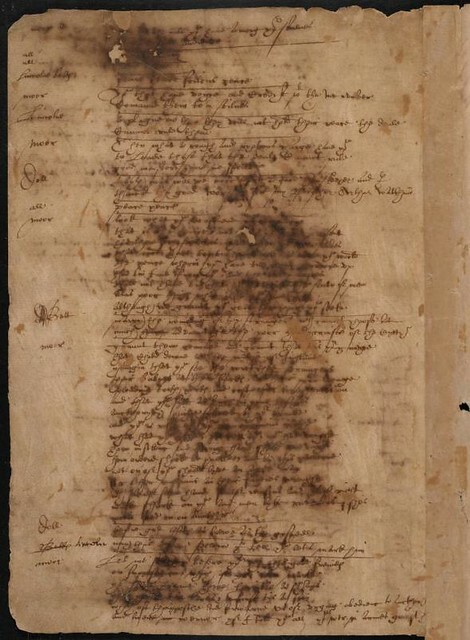 Three pages of this draft of the play are apparently written by William Shakespeare, and they represent the only available sample of his handwriting in a play script. As we marvel that plus ça change, plus c’est la même chose, we might send absolutist birthday greetings to Thomas Hobbes of Malmesbury; he was born on this date in 1588. 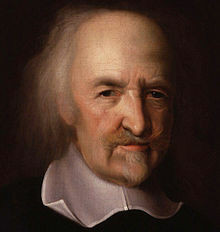 A father of political philosophy and political science, Hobbes developed some of the fundamentals of European liberal thought: the right of the individual; the natural equality of all men; the artificial character of the political order (which led to the later distinction between civil society and the state); the view that all legitimate political power must be “representative” and based on the consent of the people; and a liberal interpretation of law which leaves people free to do whatever the law does not explicitly forbid– all this, though Hobbes was, on rational grounds, a champion of absolutism for the sovereign. His 1651 book Leviathan established social contract theory, the foundation of most later Western political philosophy.